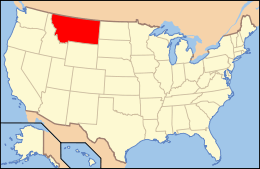 Cascade County (cascade means waterfall in French) is a county located in the U.S. state of Montana. As of the 2010 census, the population was 81,327, making it the fifth-most populous county in Montana. Its county seat is Great Falls. At the time of the Lewis and Clark Expedition, Cascade County was the territory of the Blackfeet. The county was named for the falls on the Missouri River. According to the U.S. Census Bureau, the county has a total area of 2,711 square miles (7,020 km2), of which 2,698 square miles (6,990 km2) is land and 13 square miles (34 km2) (0.5%) is water. The Missouri River and the Sun River flow through the county, and meet at the city of Great Falls. A portion of the Adel Mountains Volcanic Field is in the southwest corner of the county. The Rocky Mountains are in the western part of the county with the Little Belt and Highwood Mountains in the southeast. As of the census of 2010, there were 81,327 people, 33,809 households, and 21,403 families residing in the county. The population density was 12/km² (30/sq mi). There were 37,276 housing units at an average density of 5/km² (13/sq mi). The racial makeup of the county was 89.20% (72,584) White, 1.2% (1,010) Black or African American, 4.3% (3,487) Native American, 0.8% (684) Asian, 0.1% (89) Pacific Islander, 0.6% (526) from other races, and 3.6% (2,947) from two or more races, the Asian population doubles when taking two or more races into consideration. 3.3% (2,711) of the population were Hispanic or Latino of any race. 22.5% were of German, 11.1% Irish, 10.2% Norwegian, 8.8% English and 7.7% American ancestry. 95.4% spoke English, 1.7% Spanish and 1.1% German as their first language. There were 32,547 households out of which 32.20% had children under the age of 18 living with them, 52.30% were married couples living together, 9.90% had a female householder with no husband present, and 34.10% were non-families. 28.80% of all households were made up of individuals and 10.90% had someone living alone who was 65 years of age or older. The average household size was 2.41 and the average family size was 2.97. In the county the population was spread out with 26.00% under the age of 18, 9.10% from 18 to 24, 28.10% from 25 to 44, 22.80% from 45 to 64, and 14.00% who were 65 years of age or older. The median age was 37 years. For every 100 females there were 97.90 males. For every 100 females age 18 and over, there were 95.70 males. The median income for a household in the county was $32,971, and the median income for a family was $39,949. Males had a median income of $28,993 versus $20,970 for females. The per capita income for the county was $17,566. About 10.40% of families and 13.50% of the population were below the poverty line, including 18.60% of those under age 18 and 8.40% of those age 65 or over. As of the 2010 United States Census, there were 81,327 people, 33,809 households, and 21,403 families residing in the county. The population density was 30.1 inhabitants per square mile (11.6/km2). There were 37,276 housing units at an average density of 13.8 per square mile (5.3/km2). The racial makeup of the county was 89.2% white, 4.3% American Indian, 1.2% black or African American, 0.8% Asian, 0.1% Pacific islander, 0.6% from other races, and 3.6% from two or more races. Those of Hispanic or Latino origin made up 3.3% of the population. In terms of ancestry, 28.5% were German, 17.1% were Irish, 12.3% were English, 10.3% were Norwegian, and 4.5% were American. Of the 33,809 households, 29.8% had children under the age of 18 living with them, 48.4% were married couples living together, 10.2% had a female householder with no husband present, 36.7% were non-families, and 30.5% of all households were made up of individuals. The average household size was 2.33 and the average family size was 2.90. The median age was 38.9 years. The median income for a household in the county was $42,389 and the median income for a family was $53,540. Males had a median income of $37,904 versus $27,944 for females. The per capita income for the county was $22,963. About 10.9% of families and 13.5% of the population were below the poverty line, including 20.4% of those under age 18 and 8.8% of those age 65 or over. Malmstrom Air Force Base is a driving force in the regional economy. As of 2009 Benefis, Great Falls Clinic, National Electronics Warranty and Walmart were the largest private employers. The University of Great Falls and the MSU College of Technology - Great Falls are both located in Great Falls. 1 2 "State & County QuickFacts". United States Census Bureau. Retrieved September 14, 2013. ↑ Merrill, Andrea; Judy Jacobson (1997). Montana almanac. Helena, Montana: Falcon Publishing. ISBN 1-56044-493-2. ↑ "2010 Census Gazetteer Files". United States Census Bureau. August 22, 2012. Retrieved November 27, 2014. ↑ "Annual Estimates of the Resident Population for Incorporated Places: April 1, 2010 to July 1, 2015". Retrieved May 17, 2016. ↑ "U.S. Decennial Census". United States Census Bureau. Archived from the original on April 22, 2013. Retrieved November 27, 2014. ↑ "Historical Census Browser". University of Virginia Library. Retrieved November 27, 2014. ↑ "Population of Counties by Decennial Census: 1900 to 1990". United States Census Bureau. Retrieved November 27, 2014. ↑ "Census 2000 PHC-T-4. Ranking Tables for Counties: 1990 and 2000" (PDF). United States Census Bureau. Retrieved November 27, 2014. 1 2 3 "DP-1 Profile of General Population and Housing Characteristics: 2010 Demographic Profile Data". United States Census Bureau. Retrieved 2016-01-09. ↑ "Population, Housing Units, Area, and Density: 2010 - County". United States Census Bureau. Retrieved 2016-01-09. ↑ "DP02 SELECTED SOCIAL CHARACTERISTICS IN THE UNITED STATES – 2006-2010 American Community Survey 5-Year Estimates". United States Census Bureau. Retrieved 2016-01-09. ↑ "DP03 SELECTED ECONOMIC CHARACTERISTICS – 2006-2010 American Community Survey 5-Year Estimates". United States Census Bureau. Retrieved 2016-01-09. 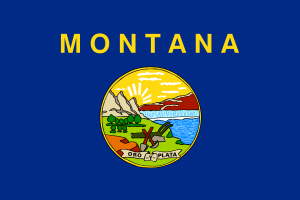 1 2 Montana Dept. of Labor and Industry (September 2010). "Demographic & Economic Information for Cascade County" (PDF). Archived from the original (PDF) on 6 September 2011. Retrieved 23 July 2011.